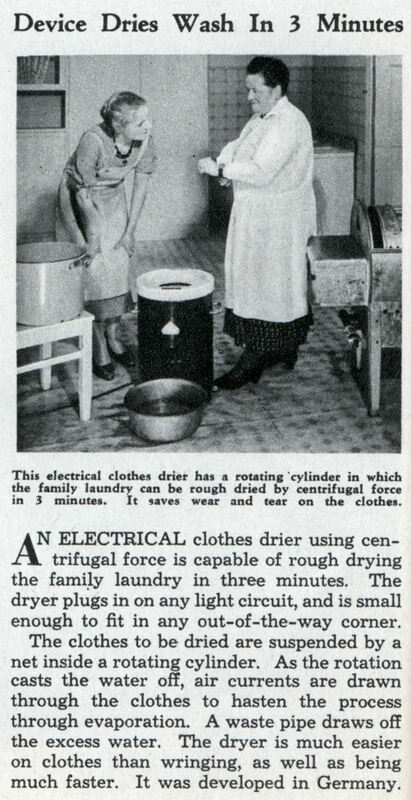 AN ELECTRICAL clothes drier using centrifugal force is capable of rough drying the family laundry in three minutes. The dryer plugs in on any light circuit, and is small enough to fit in any out-of-the-way corner. The clothes to be dried are suspended by a net inside a rotating cylinder. As the rotation casts the water off, air currents are drawn through the clothes to hasten the process through evaporation. A waste pipe draws off the excess water. The dryer is much easier on clothes than wringing, as well as being much faster. It was developed in Germany. 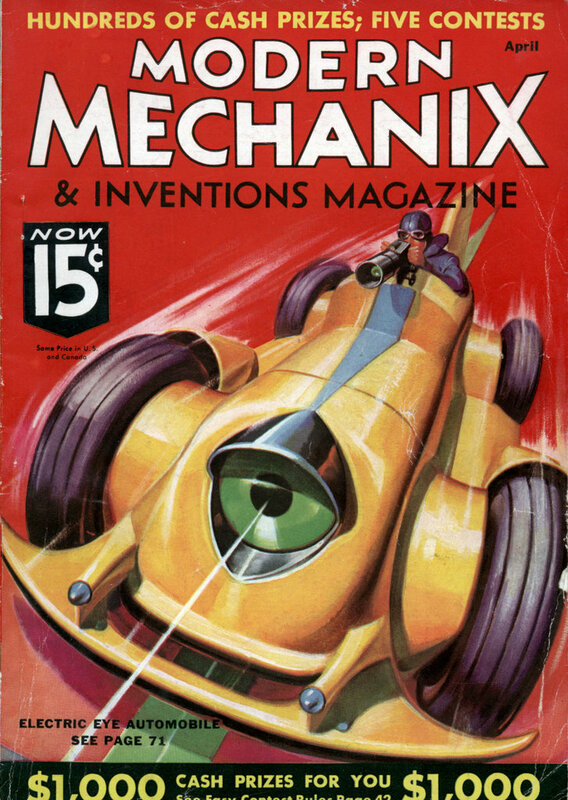 Oh yes, we used to have one of those at home. This was, obviously, before we had a washing machine that could do the same. While the exact inventor of the spin cycle has been lost to time (and perhaps a fire at the Maytag factory) there is evidence that it was developed by Maytag (also the inventor of the verticle agitator). They produced the first double cylinder washing machine which eliminated the need for the appropriately named ‘mangle’ (the roller squeezers that crushed mine and many other young childrens’ fingers). This may be a Schulthess machine or perhaps a Bosch.